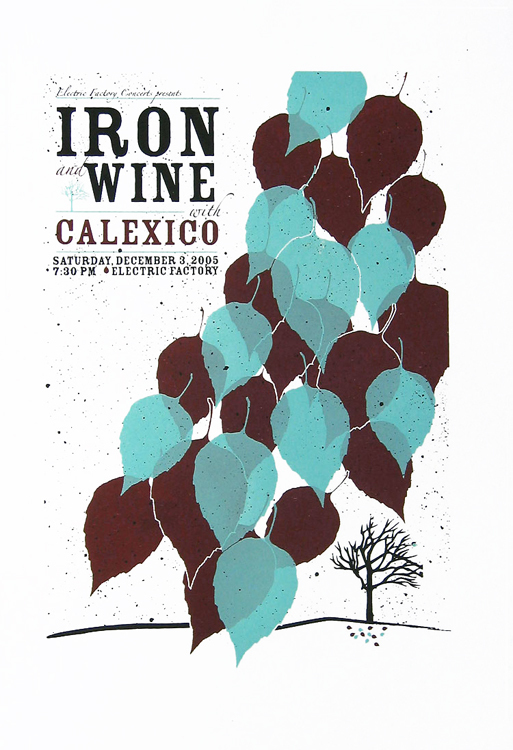 Iron & Wine w/ Calexico limited edition silkscreen poster. 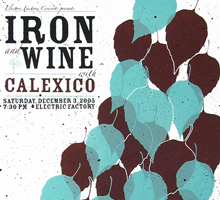 Hand screen printed poster for Iron & Wine’s show with Calexico on Saturday December 3, 2005 at The Electric Factory, Philadelphia, PA.
2-color screen print, edition of only 58. Size 14″ x 22″. Paper: acid-free, Cougar White, 100 lb cover. Sorry! This poster is sold out.